Easy Jeopardy Game Maker (Without PowerPoint)! 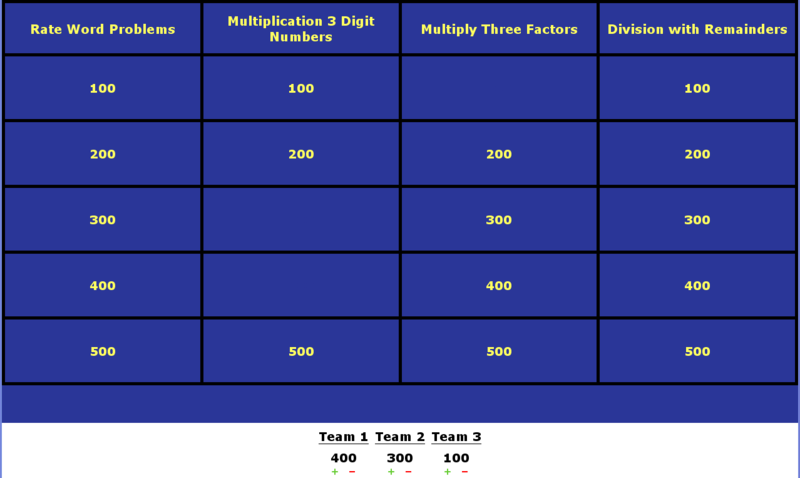 Want to quickly make Jeopardy games to play with your class without the hassel of editing a bunch of templates? Check out this amazing new resource, Jeopardy Labs! Here’s a sample game. Students click on the point amounts to view questions, and then keep score at the bottom of the board with the + and – signs. It will allow you to keep score for up to 10 teams! Creating your own game is easy too. You just click in the Title and categories to edit, and click on the point amounts to add new questions. When you are finished creating a game, the site will give you a web address to your game. Hang on to it to find your game again! This is hands down the BEST resource I’ve found to date to create your own Jeopardy game!